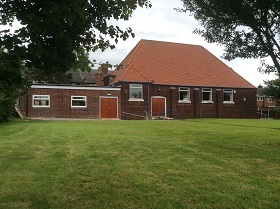 Moreton Christian Assembly is an evangelical, conservative charismatic church on the Wirral. We hold to the importance of God’s Word both for our teaching and living. We seek to follow the pattern and principles laid down in scripture as a church and as individuals. We are keen to encourage believers to live out their faith in the light of God's Word, trusting in God for the ability to do His will. We are also keen to share God's love, grace and help with those who don't yet know Him, pointing them to Jesus as the solution to all of their problems and needs. Moreton Christian Assembly initially met in a school and was founded on the belief that faithful adherence to the Word of God was of paramount importance for any church. The congregation later moved into its current premises, which were previously used by another fellowship, and fully renovated the building to give it a modern interior. Throughout its history, the church has been led by Ray Borlase, who was also the director of Intercessors for Britain, and the church therefore has significant links with this organisation. In the summer of 2014, we opened up a new extension to our main hall, enabling us to hold smaller meetings in a cosy environment and to provide better facilities for our Sunday School. It is recorded in Scripture that the early Christians “were continually devoting themselves to the apostles teaching and to fellowship, to breaking of bread and to prayer” (Acts 2:42). As a church, we hold to this pattern as the foundation for how a church today should operate. Teaching is vital if Christians are to grow in their faith and avoid falling into deceptions and errors. Fellowship means sharing and rejoicing together in our faith and encouraging one another. Part of this is our worship together. We have open times of worship when all are free to take part and bring their worship to God. "When you assemble, each one has a psalm, has a teaching, has a revelation, has a tongue, has an interpretation Let all things be done for edification" (1 Corinthians 14:26). Breaking bread (or Communion) is how Scripture describes the remembrance of Christ’s death. It is a reminder to us that Christ died to save us from the consequences of our sins. Prayer is an essential part of the Christian life, both for individual believers and for the Church. The early Church knew the blessing of God because it regularly turned to God in prayer. To these four essentials, we would also add the element of witnessing to others. Following Jesus' commands to His disciples, the early church were fervent in their efforts to tell others about Him and about what He had done for them. For more information on the doctrines we hold to as a church, please see our Beliefs page.